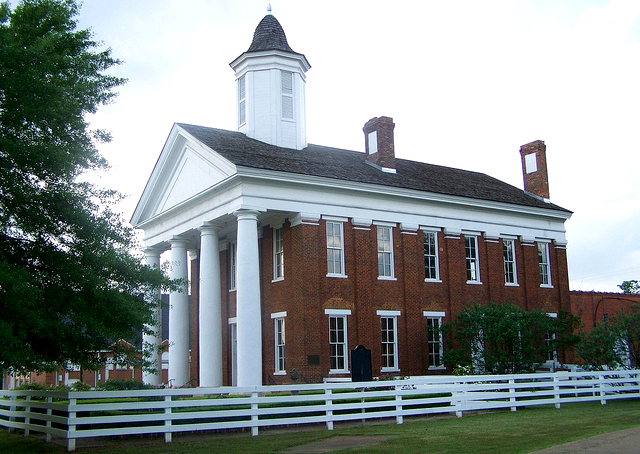 Nacogdoches is the oldest town in Texas having been founded in the late 1700’s. Currently the population is around 36,000 and is supported by the timber industry and farm and ranch operations. Chicken farming is big business in the area and serves a large poultry processing company. The largest employer is Stephen F. Austin State University with an enrollment of around 12,000 students. The downtown of Nacogdoches is vibrant with small businesses operated by local merchants. The charm of the Old Nacogdoches area is the bright spot in the community and its heritage is protected by its residents and celebrated annually at the 9 Flag Festival and Heritage Queen programs. The historic founders of the city were of Hispanic descent and those founding families are still strongly represented in the area.